They lied to protect their country. He told the truth to save it. A gripping historical thriller from the bestselling author of FATHERLAND. The officer is rewarded with promotion: Picquart is made the French army’s youngest colonel and put in command of ‘the Statistical Section’ – the shadowy intelligence unit that tracked down Dreyfus. 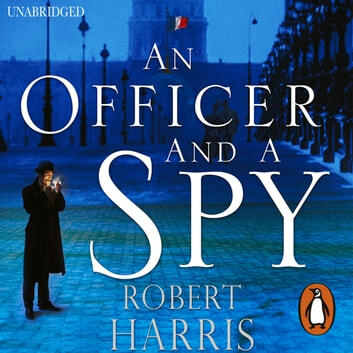 The spy, meanwhile, is given a punishment of medieval cruelty: Dreyfus is shipped off to a lifetime of solitary confinement on Devil’s Island – unable to speak to anyone, not even his guards, his case seems closed forever. 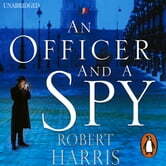 Narrated by Picquart, An Officer and a Spy is a compelling recreation of a scandal that became the most famous miscarriage of justice in history. Compelling, too, are the echoes for our modern world: an intelligence agency gone rogue, justice corrupted in the name of national security, a newspaper witch-hunt of a persecuted minority, and the age-old instinct of those in power to cover-up their crimes.